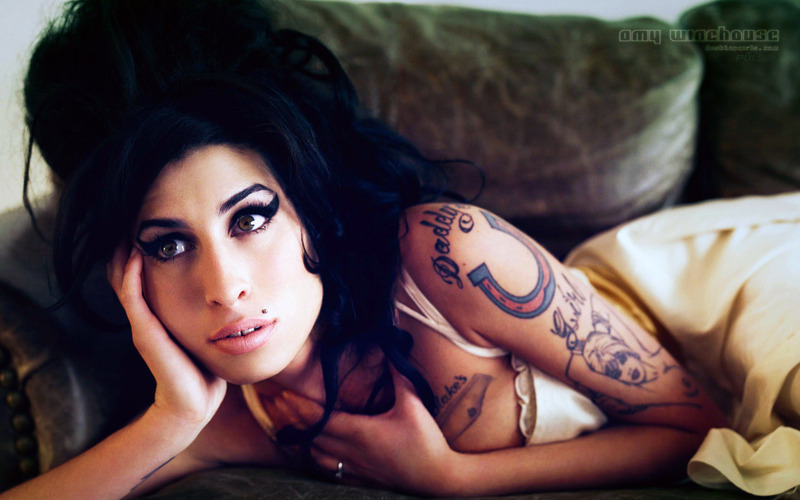 Amy Winehouse was born in 1983 — three years after I was born — and she died on July 23, 2011. She was found alone in her bed, dead of alcohol poisoning. Basically, I think, her heart just gave out. She was 27 years old. In the years that Amy Winehouse was gaining in popularity, I was far, far removed from the world of pop culture. I lived in a tiny mountain town called Ouray, and I didn’t have the money for internet access. For six full years after I graduated from college, I didn’t even have an email address. To my 35-year-old self, that just seems insane. In 2007, when I started teaching first grade, my life was further insulated from all things “hip” and “cool.” What I knew of the outside world came from the radio, which I listened to on weekend trips to Montrose for groceries. NPR and pop music were the extent of my pop culture knowledge. The PBS NewsHour wasn’t yet doing segments like “NewsHour shares,” or those snippets of trending information on Twitter, the way the program does now. Thus was the state of my life while Amy Winehouse was busy making her music and becoming super famous all over the world. In the summer of 2011, when Amy Winehouse died, I really knew nothing about her. Her massively overplayed “Rehab” song got on my nerves. It wasn’t a song that had ever appealed to me, since I felt the lyrics glorified the ugly aspect of denial in addiction, and drug and alcohol addiction has taken such a serious toll in my own life, I can’t revel in the destructiveness of denial. The fact that “Rehab” was overplayed inspired instant change-the-station mode whenever I had the radio on. As to her other music — well, I just had no exposure to it. I was extremely isolated to world events unless said world events were discussed on the PBS NewsHour. To my knowledge, Amy Winehouse’s hit singles weren’t making the cut of serious happenings for the PBS NewsHour. So this is what I thought of Amy Winehouse in 2011 — that she was “just another” rock star making tons of money by creating music that celebrated drug and alcohol use, by writing and singing lyrics taken from her own life of abusing drugs and alcohol. I didn’t see her as unique. I saw her as just another money-making machine, like the cast of Jersey Shore and those other MTV reality shows. Which might sound cruel to some people. Maybe compassion would best be served by all the hand-wringing and sobbing and “oh my God, what a tragedy!” wails of lament. I don’t know. I already have so much stress in my life, that stressing out because drug addicts “should not die young” when the reality is, they can and do die young every day — embracing that kind of stress feels futile to me. Yes, people live more enriching, rewarding lives when they are free of addiction. But this knowledge does not stop people from becoming addicts, because addiction is driven by pain, and telling someone how to respond to pain is much like telling them what they should eat every day, or how they should parent their children, or what car they should buy — no one likes to be told what to do. So unless someone comes to you asking your advice, dictating lifestyle choices to adults is unwise, as most often, you are being tuned out. Like me changing the station when “Rehab” came on. After 2011, Amy Winehouse did not come up in my life again until December of 2014, when I read Roxane Gay’s brilliant collection of essays, Bad Feminist. I blogged about that book at the end of December, and while I touched on some of the topics that had a big emotional impact on me in that book, one topic I didn’t mention was Ms. Gay’s discussion of the life of Amy Winehouse. It was the first time I’d ever read something moving about the life of this young musician, words that honored her and made me think of her as much more than just some young star in the limelight celebrating addiction. Ms. 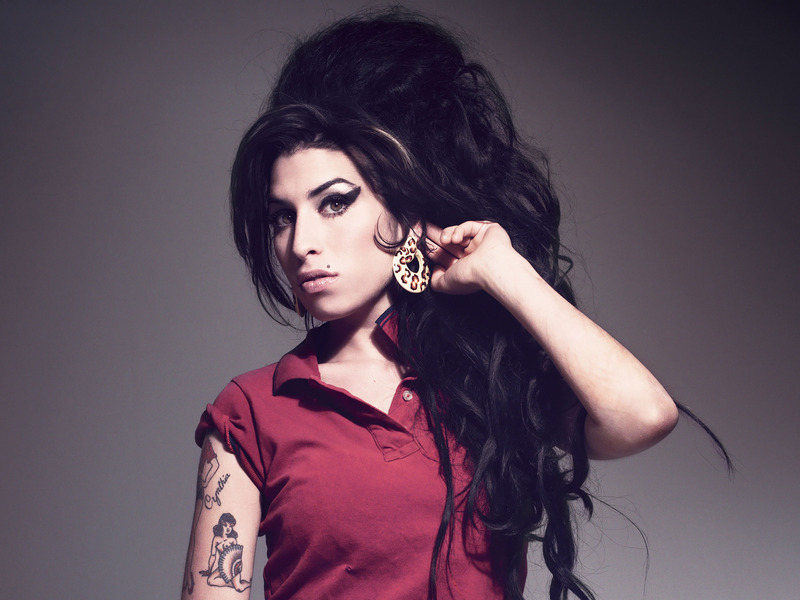 Gay discusses Amy Winehouse near the very end of her book, in an essay titled, “Tragedy. Call. Compassion. Response.” It’s a beautiful essay, one that also discusses the July 22, 2011 bombing of Oslo, Norway’s government headquarters, by Anders Behring Breivik, an atrocity that killed seventy-seven people. “There is a girl who was a woman, but really, she was a girl. She was a girl because she was only twenty-seven, had only lived a third of a life. She had a voice like fine whiskey and cigarettes, or at least what I imagine fine whiskey and cigarettes might sound like. She had a voice that made me think of dark, secret nightclubs where you need to know a guy to gain admittance, where musicians gather closely on a small stage and play their instruments for hours in a haze of sweat and cologne, booze and smoke, while a singer, this girl-woman singer, stands at the microphone, giving those gathered the exceptional gift of her voice. “The year her second album came out was the year of the Halloween dedicated to this girl-woman. Everywhere I looked, women and some men wore their hair (or a wig) long and black with a bouffant on top, and they lined their eyes blackly with that distinctive angle at the corner of each eye, and they drew tattoos on their bare arms and sang the chorus of her most popular song. They tried to make me go to rehab. Call. I said, No, No, No. Response. That’s why we care. She was in our lives and our ears and our heads and our hair. “The girl-woman singer died in her flat, alone in bed. Too many people said, “It was to be expected,” because we knew this girl who was a woman was really a girl. We knew she had problems, and she did not have the luxury the rest of us do to handle our problems privately, with dignity. She was a mess. So what? We are all stinking messes, every last one of us, or we once were messes and found our way out, or we are trying to find our way out of a mess, scratching, reaching. We knew she had demons that were bigger than her, demons she tried to fight or she didn’t — we can’t possibly know. Her struggles were documented and parodied, celebrated and ridiculed. Celebrity. Call. Gossip. Response. We have seen the pictures of this girl-woman in the street, barefoot, her midriff bare and swollen, her makeup smeared, her unforgettable hair stringy, pasted to her pale face, her body being carried from her home in a red body bag. There was no privacy for her, not even in death. That is tragedy too. “I love her music and listen to it regularly. I always hoped she might survive herself, hoped she would give her adoring fans more of her voice, hoped she would give herself the blessing of a long life. I heard she died from my best friend, who sent me a text message, and we commiserated about what a shame it was for a girl-woman to die at the age of twenty-seven. It is a different kind of devastating to think about the life she will never know, about those gifts that come with more years of living. I do not wonder about the cause of her death. The how of her demise isn’t my business. And yet. When I first heard of her death, I wondered if she died alone. I wondered if she was scared. There is fear and there is fear. Now, I wonder if she knew real happiness in her short life. I wonder if she felt loved or knew peace. She was someone’s daughter. She was someone’s sister. We know her father found out while he was on a plane. He did not have any kind of privacy to make sense of surviving his child. The death of a child is unbearable and suffocating. After Amy Winehouse’s death, her parents had to try to cope with something the human heart is ill equipped to withstand. Tragedy. Call. Broken heart. Response. “I followed many conversations about what happened in Norway and the death of Amy Winehouse because they happened one right after the next. Too many of those conversations tried to conflate the two events, tried to create some kind of hierarchy of tragedy, grief, call, response. There was so much judgment, so much interrogation of grief — how dare we mourn a singer, an entertainer, a girl-woman who struggled with addiction, as if the life of an addict is somehow less worthy a life, as if we are not entitled to mourn unless the tragedy happens to the right kind of people. How dare we mourn a singer when across an ocean seventy-seven people are dead? We are asked these questions as if we only have the capacity to mourn one tragedy at a time, as if we must measure the depth and reach of a tragedy before deciding how to respond, as if compassion and kindness are finite resources we must use sparingly. We cannot put these two tragedies on a chart and connect them with a straight line. We cannot understand these tragedies neatly. “Death is a tragedy whether it is the death of one girl-woman in London or seventy-seven men, women, and children in Norway. We know this, but perhaps it needs to be said over and over again so we do not forget. “I have never considered compassion a finite resource. I would not want to live in a world where such was the case. Those words resonated with me, and when I discovered a film had been made about Amy Winehouse, I was eager to read the review by Manohla Dargis. Published on July 2, 2015, “Amy: An Intimate Diary of Amy Winehouse’s Rise and Destruction“ convinced me that this was a movie I needed to see. So on Saturday, August 15, I went to see a five o’clock showing of Amy here in Durango. And I’m really glad that I did. I learned so much about Amy Winehouse. I discovered how funny and smart and charming she was. I learned about the people who genuinely loved her, and the people around her who used her, who fed on her like vampires. I learned about a young woman who put her faith in her father, and her lover, and then suffered the consequences. To fail to stand up for yourself, and your own desires, is ultimately a failure of the self. Something inside has been allowed to be crushed — and drugs and alcohol soothe that crushed thing. This movie exposes the audience to the crushed thing inside Amy Winehouse, and the people who continued to draw blood from her body, long after it was clear she needed help. When I heard her sing “Rehab” in this movie, my heart broke — a clean, crisp break, a sound like snapping open a glass vial of morphine. That was what I heard in my chest when the lyrics of “Rehab” appeared on the screen, because they signaled the beginning of the end of this young woman’s life. The most beautiful part of this film is seeing Amy Winehouse navigate her pain in her lyrics — words that are displayed alongside her as she sings — and it’s a truly brilliant piece of film-making, watching Amy’s life recorded in diary form in her haunting music. For whatever reason, but most likely due to my lack of social media savvy, I’d never heard that song before I saw the film Amy. 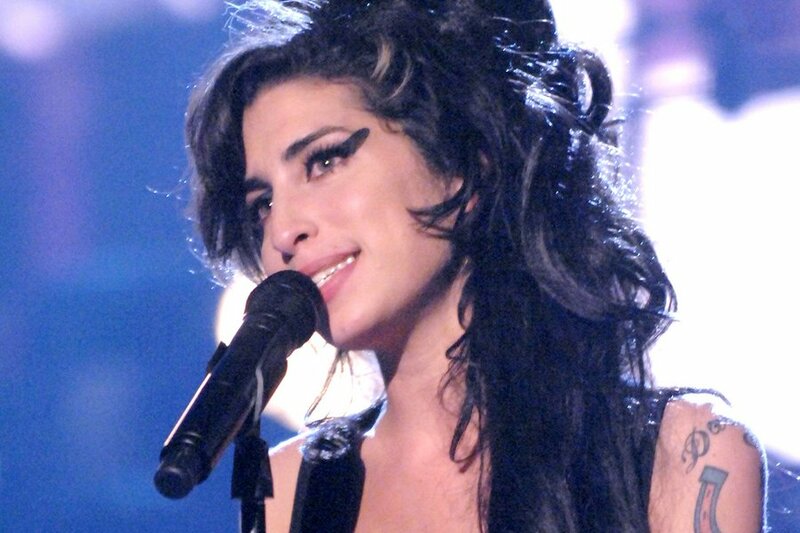 Odd as it may seem, I do mourn Amy Winehouse now, after seeing this movie. She was not a perfect person. She was deeply flawed. But wow, she had talent. And drive. She also had a quick mind, and she wrote really, really beautiful lyrics. Starting as a child, she suffered from bulimia — a condition she carried with her until the day she died. Her skinny arms and legs came at a steep price. My heart breaks for anyone with an eating disorder — and Amy’s bulimia definitely contributed to her early death. And wow, was the paparazzi vicious!! Those flashing, snapping cameras being shoved at Amy Winehouse are like watching rabid sharks ripping into her — it’s horrendously abusive. She needed more body guards or something, those a**holes were out of control. The corporate celebrity machine is disgusting — and the brutality of this constant assault led to the most haunting lines near the end of the film. None of the video footage was created for the movie — everything shown in Amy was filmed while she was alive, and everyone connected to her is allowed to speak for themselves, including her father, her lover(s) and husband, and her friends. This is definitely a worthwhile picture to see. Amy will make you think about what it means to be human, to be an artist, to let the people you love turn you onto heroin and crack, what happens when you put your trust in the wrong people, and what it takes to survive in the ugly, brutal world of being famous. Thank you. I was also deeply moved by “Amy” and “Back to Black” that I have owned since its release but have never played remains on loop since. Reading the excerpt above while the title song plays is gut wrenching and visceral. I was equally as dismissive of the “Amy Winehouse” effect, a baby girl playing at rock star, playing music that was derivative and unnecessary when the originals still had catalogues easily accessible. I did not need some reverential fan girl show me what soul was when there is an Aretha, a Dinah Washington, a Dusty Springfield. How wrong I was, to learn she wrote and created those songs from scratch, that she was so deeply creative and as equally confused by her celebrity as the rest of us. Your post captured so perfectly those conflicting thoughts of a reformed listener and now fan. The shame is I did not come to this realisation in Amy’s lifetime. Beautiful words, Julius. Thank you so much for sharing. I’m so glad that Amy continues to have listeners and fans — people who love her music, and the soul that created that music. I think Amy was a very old soul, and so incredibly brilliant. Her life was a gift to us all. I’m sorry I don’t have the answer to your question. I did not take the photo, simply copied it from a website online. I don’t know how to track down the name of the photographer, but perhaps a graphic designer would be able to tell you how to do that? I’d suggest contacting someone in graphic design for help with this. It’s definitely a beautiful picture!